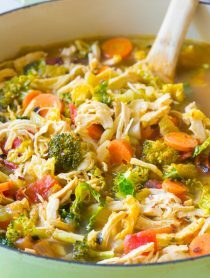 Looking for comfort food while on a paleo diet? I’ve got you covered. 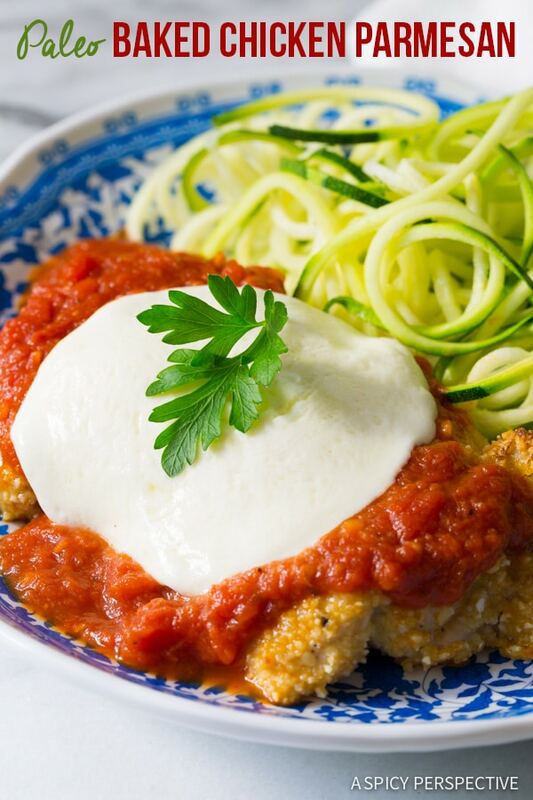 Today we’re serving up Paleo Baked Chicken Parmesan. It’s healthy and satisfying! If you’re looking to clean up your eating habits, yet still crave cozy Italian dishes, I feel your pain. It can be tricky to find a healthy balance between what you crave and what your body needs. 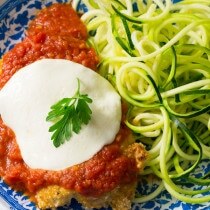 Today I’m hoping to offer a solution for those on a paleo or primal diet… Paleo Baked Chicken Parmesan. Generally speaking, the paleo diet eliminates the consumption of grains, dairy, and legumes to keep your gut in check. In paleo theology, a clean gut equals optimal health. The primal diet is similar, yet allows raw dairy. As you can plainly see in the images, this is not a strict paleo recipe, because there is cheese involved. However you can prepare this Paleo Baked Chicken Parmesan without the cheese and it still tastes amazing. Or you can go primal and use raw mozzarella cheese. Oh… I should probably mention as well, that this Paleo Baked Chicken Parmesan recipe does not include parmesan cheese. I find raw mozzarella easier to find than raw parmesan. Plus, mozzarella melts like a cozy blanket over the chicken satisfying any chicken parm craving you could possibly have. 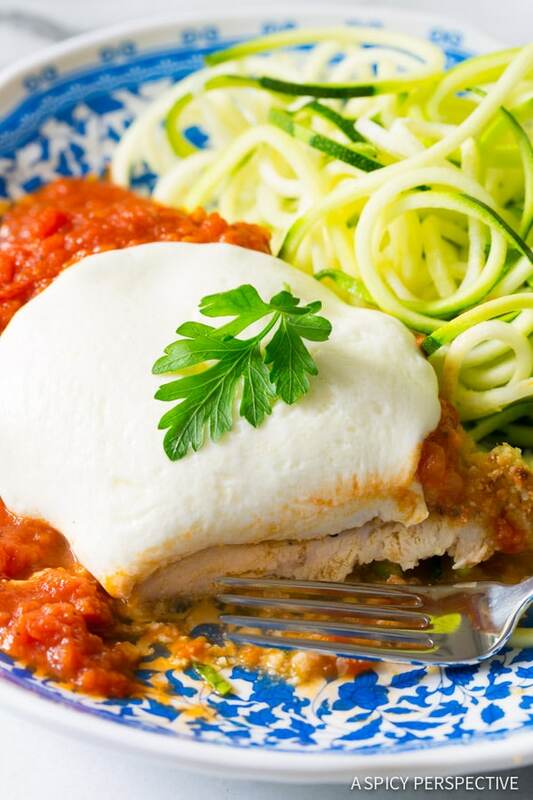 Disclaimers aside, our Paleo Baked Chicken Parmesan is divine just the way it is. You will not miss the wheat pasta. You will not miss the wheat breading. You will certainly not miss the parmesan. 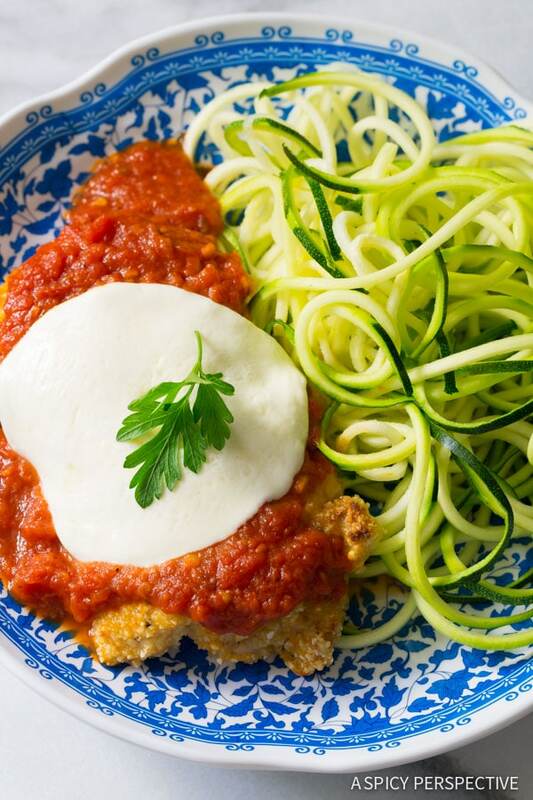 Serving this chicken parm with zucchini noodles (zoodles) provides a light balance to a traditionally heavy dish. I used organic chicken thighs to keep the chicken extra moist and flavorful, then coated it in almond flour to create a crispy crust. Once the chicken has baked, slather it with a quick homemade marinara and top each piece with a slice of fresh raw mozzarella. Then it goes back in the oven for just a few minutes to melt the cheese. Paleo, Primal, Gluten Free… Whatever you’re clean eating plan, you can enjoy a little bit of Italian comfort without a hefty side dish of guilt! Paleo Baked Chicken Parmesan – a healthy yet comforting grain-free recipe to fit into a paleo or primal diet. Simple clean ingredients, and huge flavor. Start with the marinara: Pour the olive oil in a large saute pan and place over medium heat. Add the onions, garlic and carrot and saute for 3-5 minutes, until very soft. Then add the crushed tomatoes, tomato sauce, parsley and basil. Stir and simmer for 10 minutes, then salt and pepper to taste. Remove from heat. Meanwhile preheat the oven to 350 degrees F. Line a baking sheet with parchment paper and set aside. Then pour the almond flour on a plate, and crack the egg into a wide shallow dish. Whisk the egg. Dip each chicken thigh into the egg then dredge it in almond flour, covering all sides. Place the chicken on the baking sheet and salt and pepper liberally. Using a spiralizer, cut the zucchini into “zoodles” zucchini noodles. Bake the chicken for 17 minutes. Then scoop 1/2 cup marinara over each piece and place a slice of mozzarella over the top. Place back in the oven for 3-5 minutes to melt the cheese. Serve warm with zucchini noodles. 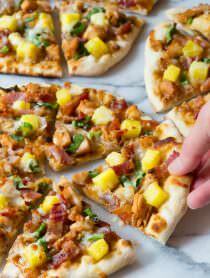 I make this all the time and the kids love it too! We omit the cheese because dairy is not Paleo. I do add nutritional yeast to the almond flour to give a “cheesy” flavor though. Made this for dinner tonight and it was devoured. Added lots of garlic and oregano to the sauce and also mixed a little grated Parmesan with the almond flour. This will stay in our dinner rotation! THIS LOOKS WICKID! Could I substitute coconut flour? Do you find them to be interchangeable or does one produce a crispier result? Thanks! this looks delicious! I have to look for that raw mozzarella. Did you ever find raw mozzarella? I have no idea even where to begin looking. Sommer, this is such delicious and clean recipe!! I love that you used almond flour for crust! Really a great idea! Comfort food turned summer appropriate, I love it! This looks absolutely amazing, Sommer! 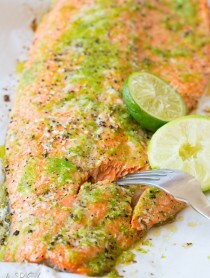 What a great dish to be able to serve to my Paleo friends. Oooh, I don’t think I’d miss the Parm or grains one bit! Delicious…I am so into zucchini noodles!! Great dinner recipe!! Totally trying soon!! Such a creative use of almond flour! So smart to use the almond flour!!! I love that you used almond flour!! I bet it tastes amazing! What a great recipe! Love the zoodles! This looks so delicious Sommer. I love that you used almond flour to coat! I’m hooked on using zoodles as a side dish for everything lately…great meal!